Our facilities were fully renovated and refurbished to guarantee maximum comfort and cleanliness. We have central heating in every room and daily housekeeping. There are separated bathrooms for men and for women, hot showers 24hours a day, common room, free computers and free wifi Internet, laundry services, and free use of the kitchen. 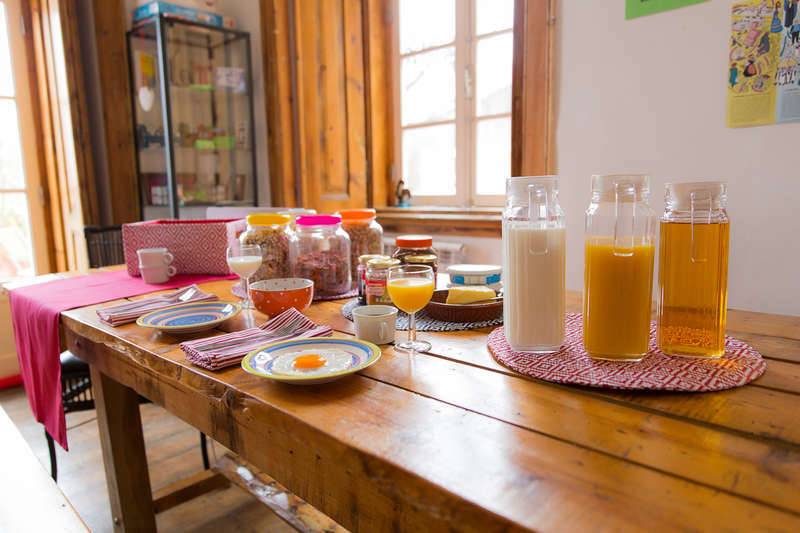 We are an eco-friendly hostel, using ecolabel cleaning products, recycled paper, and much more! 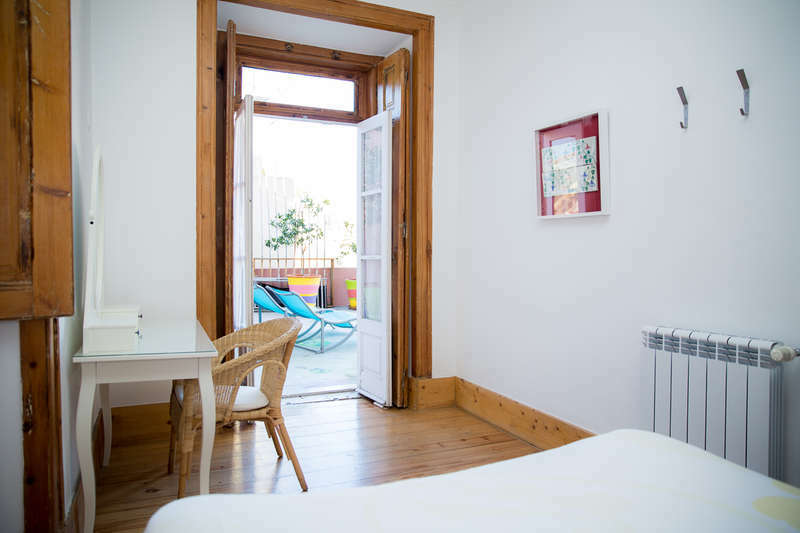 Our 7 rooms, named after Lisbon themes, have plenty space, new mattresses, heaters and free lockers for a cosy stay in Lisbon. Our outstanding staff organizes free walking tours, trips to Sintra, Mafra and Caparica Beach as well as Portuguese homemade dinners, brunches and Portuguese lessons. We also organize yoga in our terrace and surf classes, with pick-up at our hostel. We also have free maps, travel guides and advices! 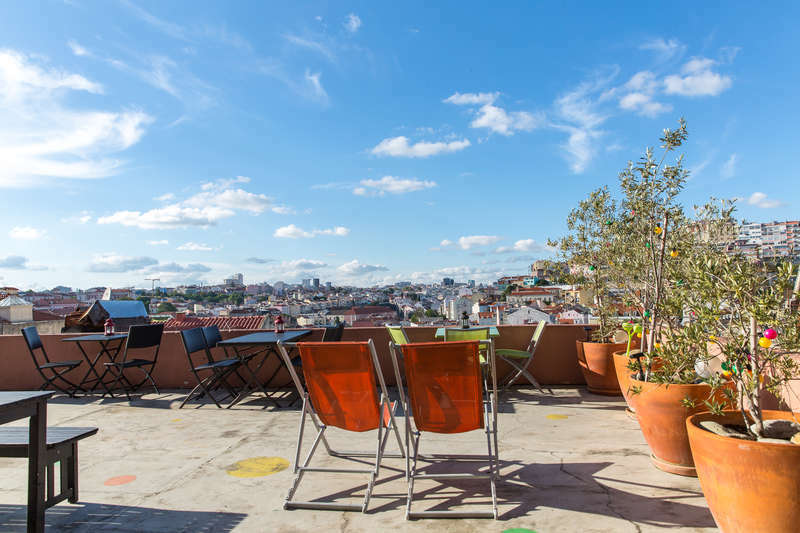 Costa do Castelo is just outside the wall of Saint George Castle, in one of the oldest neighborhoods in Lisbon, at a walking distance from Rossio Metro Station. Catch the subway at the AIRPORT, change in Alameda to the Green Line and step out at ROSSIO station (runs between 6.30am until 1am). Walking: exit metro through square Praça da Figueira, follow the tram rails along street Rua dos Fanqueiros until number 170, take the free Elevator to the castle (open 9am to 9pm), exit and turn left. You will see a new white building with a 'Pingo Doce' Supermarket; inside there is another public elevator that takes you to our street (works 24 hours)! Go left on Rua Costa do Castelo and after 400 meters, you see us in a dark pink building. After 9pm go from square Praca da Figueira direct to street Rua da Madalena and then take the elevator to our street Costa do Castelo. Taking Tram 12E: On Figueira square you can catch the Tram 12E (runs from 8am until 8.45pm) and step out at stop Rua Sao Tome (first stop after the tram stops climbing!). Walk backwards along the tram line until you find second street to the left Rua Costa do Castelo (there is a sign pointing to Teatro Taborda, follow it). Walk 300 meters along our street, passing the Hotel and the Teatro Taborda, and you will see us in a dark pink building. Taxi should not cost more than 17euro. Always ask for a receipt. We recommend you to buy a Taxi Voucher at the airport. We have a 48-hour cancellation policy. If reservation is cancelled after that, the first night will be charged.